These new gloves from Fairtex are a limited run with only 400 total gloves in production. They’re a collaboration between Fairtex and Ludwig Van, a clothing company from the USA run by the ex Creative Director of Adidas Combat Sports and currently Creative Director of Strom Kimono. Whether you love the colours, the brand, or are simply a lover of Beethoven, these would make a great addition to any collection. Fairtex are really impressing with their recent limited edition releases. Fumetsu have been teasing their latest range for a while now, but it’s finally been released! The Rampage collection fits in with the brand’s Rhino theme with some pretty cool illustrations available on rashguards, spats and shorts. 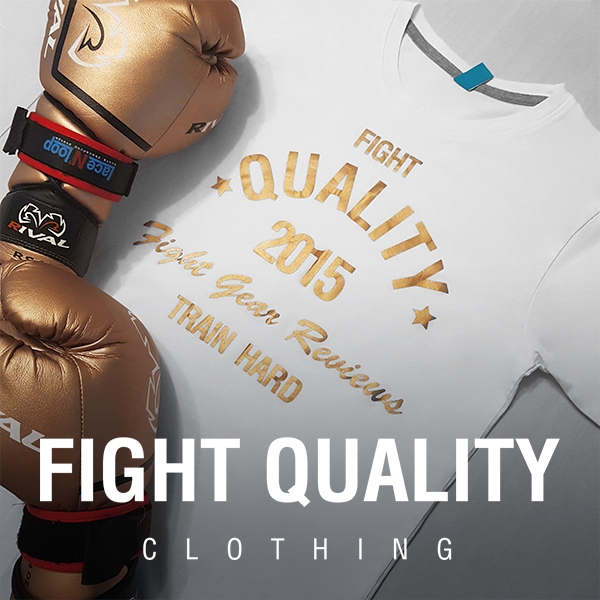 In July’s New Fight Gear round-up, we showed you the new Hayabusa T3 range. Well right at the beginning of this month they released a special edition white version of the range, which looks even more slick. As it happens, we’ll hopefully be getting our hands on some of the Hayabusa T3 range soon to review! RDX are pretty good at producing equipment to fit a range of tastes, and usually is well suited to beginners. These new shorts look like a great example of this, featuring a swirled pattern with a flash of either red or blue up each leg depending which colour you go for. Ringside’s new Stealth range brings a darker feel to their boxing equipment. The gear comes in shades of either red, blue, green or black, with dark logos and highlights. Last month Title teased the release of their new Muhammad Ali range of gloves. Well they’re finally here! The range goes for a vintage style with a mixture of black and burgundy tones, resulting in a range of fairly unique looking gloves. As well as that, Title have stepped up to support Breast Cancer Awareness with a number of items for which 10% of the proceeds go to the Young Survival Coalition (YSC) until the end of October! Title Breast Cancer Awareness Range. We showed you Triumph United’s Tiger 1 range last month, and the latest addition is the colourful Triumph United TU Tiger 1 Thai Focus Mitts. There’s a lot happening for Venum at the moment. Not only have they launched three new rashguard collections, but they’ve also launched their brand new Venum Training camp in Paris, along with a load of Training camp branded apparel. As if that wasn’t enough, Venum have also teased their new project, Ringhorns. We’ll have to see what direction the project takes, but if it’s anything like Venum equipment, you can expect lots of style.